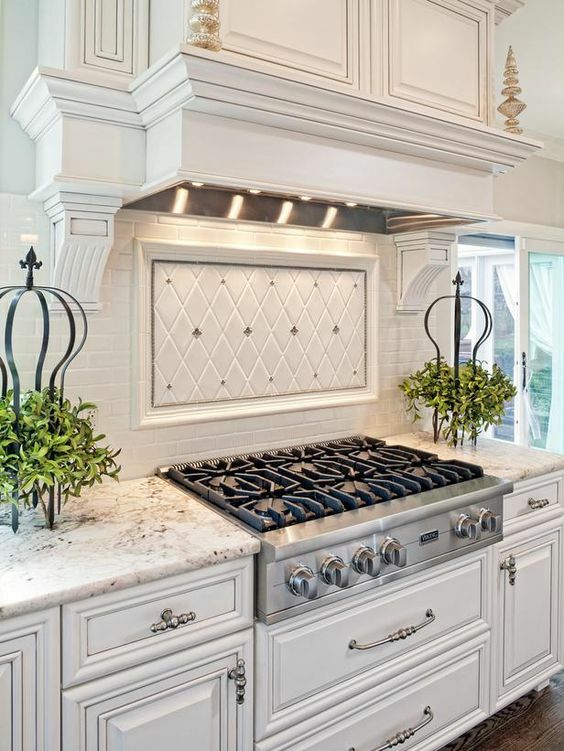 Traditional kitchens flourish in a wealth of exquisite features. It doesn’t matter what worldly style is used to influence the setup, it will always share a number of certain combined elements affiliated with its popular arrangement. For instance, pay attention to the architectural details. They’re everywhere, rarely is an area missed. It seems as if even the most finite components are embellished. But the best related design assemblies aren’t overbearing or gaudy, they’re a tasteful potpourri of arches, carvings, moldings, and raised panel cabinets. 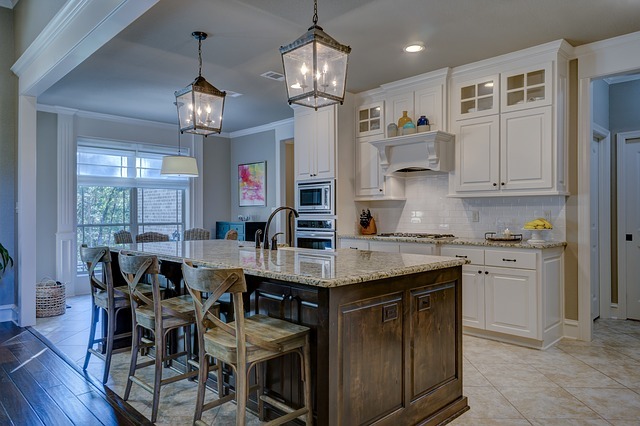 Speaking of cabinets, their construction type has a strong influence on the rest of the traditional kitchen. For example, full overlay or frameless cabinets, designs considered relatively contemporary, establish an elegant presence. They’re particularly notable for the designs’ unique concealment of hinges. 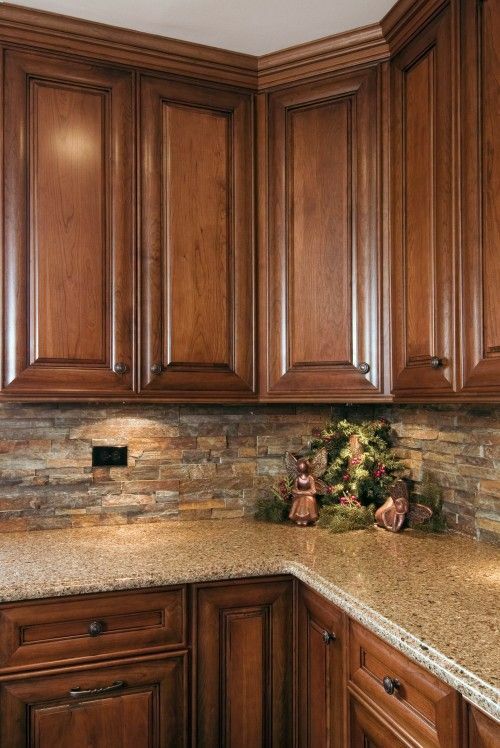 On the other hand, flush inset or framed cabinets have more in common with the Old World style. Their hinges are visible as is the frame around the doors (which, along with the drawers, are flush with the frame). Unlike the flat panel doors you’ll find in a modern kitchen, or the shaker style associated with the classic, it’s raised panel doors that are common for the traditional kitchen. They come in a variety of options that matches the wide array of niche touches that you will only find in the most elegant of kitchen concepts. An interesting aspect of note is the use of multiple finishes. It’s not unusual to find a particular style cabinet in a certain finish while a completely different one stands elsewhere in the room. Traditional kitchens actually offer freedom to mix and match cabinet styles to your hearts delight. That’s the idea, there’s plenty of room to be creative within the traditional motif. And, of course there are many artistic touches you can apply to existing designs. 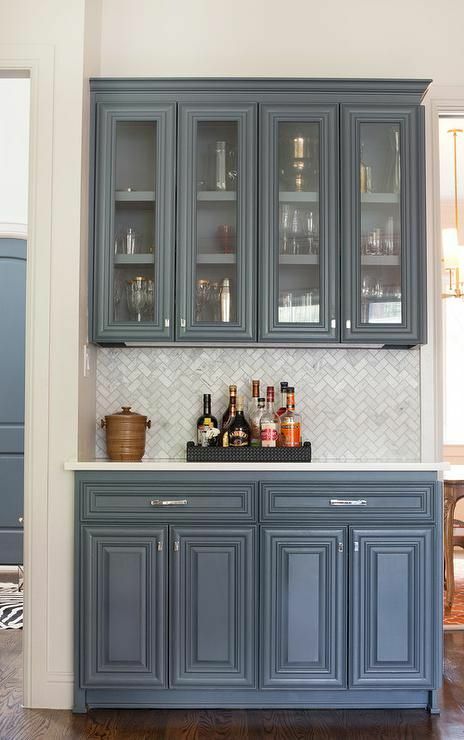 With cabinets, for instance, there are endless ideas for accentuating detail. You can choose to incorporate glass with a beveled outer edge and wood mullions in a variety of patterns. There are different options for every section. Moldings are standard to go-to as are carved corbels, ornamentation, or brackets. You’ll find apron front (or “farmhouse”) sinks in the traditional, as well as honed, non-shiny countertops of the luxurious variety. Marbles such as calacutta and statuary may compete with a walnut wood or quartzite and light granite, but all are popular choices. Occasionally, polished stone will make its way in as well. Certainly, lighting is an important aspect that should be understood. 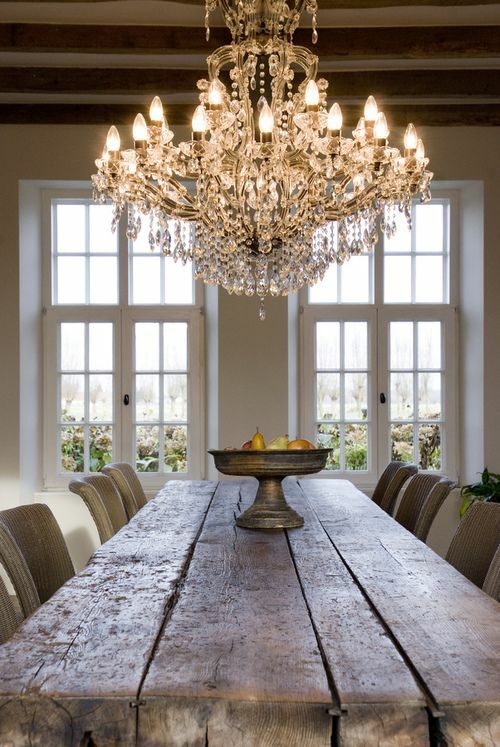 Crystal or brass chandeliers and lantern style lights are also associated with dining rooms, but they are the traditional standards as well. It is in fact the style to utilize light more befitting of a living room than a kitchen. Ornate and decorative, that’s how you can describe the source of illumination in a traditional. Custom hoods are also part of the signature style. You can expect to find very ornate metal hoods or even those of the carved stone variety. Sometimes they are custom made out of plaster and decorated with moldings and corbels. 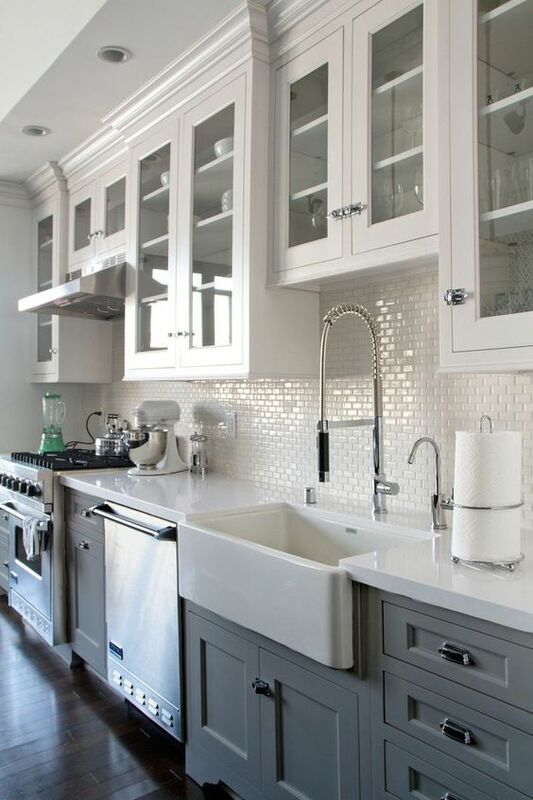 Even the backsplashes get the adorning touch with surprising details such as niches and ledges. They may even be etched just outside the stove, flanking it with fancy twists. It’s that extra attention that creates the warm traditional feeling that is so often imitated. Other unique aspects you’re likely to find are hutch and tall furniture style cabinets. The former most often classified as a dining room accessory, they’ve slowly made their way into the kitchen scheme. They provide great storage alternatives and both designs are really quite attractive. So there you have it, the traits of traditional kitchens. Implement these ideas where you can and you’ll be on your way to creating a traditional kitchen theme of your own.